The newest and littlest member of the Seakeeper product line, specially designed for boats 27 to 32 feet. Hysucat CC30 Sport Fisher, features the proven catamaran hydrofoil hull design. This cutting- edge craft delivers a remarkably soft, safe, dry ride. A list of MCA Approved doctors overseas - for ENG 1 medical examinations. A list of MCA Approved doctors in UK - for ENG 1 medical examinations. MGN 566 (M+F), Medical Certification, Hours of Work and Alcohol Limits for seafarers. Most of the amendments affect training and certification requirements. Toxic Hazards of Chemicals Including Poisoning. The treatment of the effects of specific chemicals is given in the International Maritime Organization&apos;s Medical First Aid Guide for use in Accidents involving Dangerous Goods (MFAG) 1994 which your ship may be carrying. MEDICAL REFEREES Any seafarer found unfit, giving them a right of review (appeal). Find out about MCA&apos;s recruitment process for approved doctors (ADs). MCA&apos;s recruitment system has been established in agreement with maritime employers and seafarer�s trade union organisations. This notice sets out the written examination dates for Engineer Officer Certificates of Competency (limited to yachts, sail training vessels and small vessels) for the academic year commencing 1 September 2018. Changes to the Y4 and Y3 Auxiliary Equipment Module Requirements and the Subsequent Oral Examinations. The change relates to the acceptance of SQA Small Vessel Auxiliary Equipment 1 module and examination as an alternative to completing the SQA Yacht Auxiliary Equipment module and examination. - General principles of first aid for sea survivors hypothermia, causes, diagnosis, treatment. Freezing cold injury � frostbite, Non-freezing cold injury , Dehydration and malnutrition , Problems in the lifeboat ..
- At sea, in the absence of facilities, trained ships&apos; officers are required to give types of treatment beyond that accepted as normal first aid. The knowledge of first aid necessary for the safe and efficient immediate treatment of casualties before they are transported to the ship�s hospital or to a cabin..
A list of doctors whose MCA approval has lapsed during the last two years. If you recover wreck material within UK territorial waters, or bring wreck material into UK territorial waters, you must report it to the Receiver of Wreck. Complete these forms and take them to your doctor to be filled in. It doesn&apos;t have to be a MCA approved doctor. What International Travelers Should "Know Before You Go" this Summer. CBP&apos;s prepared to welcome and welcome home millions of international travelers during the busy summer travel season. CBP has deployed innovative programs and technology including Trusted Traveler Programs, Automated Passport Control kiosks and Mobile Passport Control to make ..
the MJM 53z is expected to be a 50mph boat. the marine industry&apos;s first intelligent object recognition and motion sensing assisted docking solution for recreational boating. technical development and testing of Heesen&apos;s largest superyacht to date. Zeelander yachts has developed a completely new model, the Z72. It blends stylish appearance with some truly unique superyacht features. The AMELS 180 has proven full displacement naval architecture with a large volume (671 Gross Tonnage), offering strong and stable seakeeping behavior for excellent comfort and global range. New Pershing 8X: is made of the same material that the most advanced nautical dreams are made of carbon fibre: means lighter weight, greater speed, and lower fuel consumption. Read more..
Moran Yacht & Ship announced the completion of the 365&apos; (111.5m) Lurssen TIS. Gives you the stability, control and power. This is a fast displacement hull design. Humphree Stabilisation Fin Van der Valk. She is a full-displacement motor yacht, with a hi-tensile steel hull and aluminium superstructure, capable of cruising beyond 4,000 miles. To create emotion and seduce, the RM1180 is a champion. She is very beautiful. A sailboat that inspires speed, modernity and performance, , while showing a rare elegance. DAMEN SeaXplorer marked a milestone in the construction of the SeaXplorer 77 expedition yacht at a keel laying ceremony Read more..
the new BAVARIA C45 and BAVARIA C50. These two sailing yachts differ considerably from other yachts on the market. New for 2018, Discovery makeover to all the Southerly hallmarks of a raised interior helm position, raised saloon, great performance Read more..
Modular exhaust after-treatment System from MAN Engines ensures US Tier 4 compliance for workboats. Compact and lightweight design; comprehensive performance portfolio from 324 to 1213 kW. The modular exhaust after-treatment System is made up of an SCR. industry-leading Selective Catalytic Reduction (SCR) system designed and manufactured by Cummins Emission Solutions. Read more.. Image courtesy of Vetus B.V.
An expansion on VETUS pressurized water systems: welcome the EXPAT075&excl; Constant water flow, saves energy and minimizes noise. Pressure in the accumulator prevents the water pump motor being started each time a supply of water Read more.. The Baglietto 48m T-Line, the latest construction in steel and aluminum with a displacement hull. The vessel boasts over 350sqm (3767 sqft) of luxurious space, with room for many new features. The exterior spaces are vast, with the sundeck alone composed of 140sqm (1506 sqft) of al fresco space, including dining space, a sunbathing area, and an infinity pool. Vitters signs contract for new 50-metre ketch. The new 4LV series offers a range of 5 engines with outputs from 150 to 250 mhp. Avanti, a new 66m motor yacht. 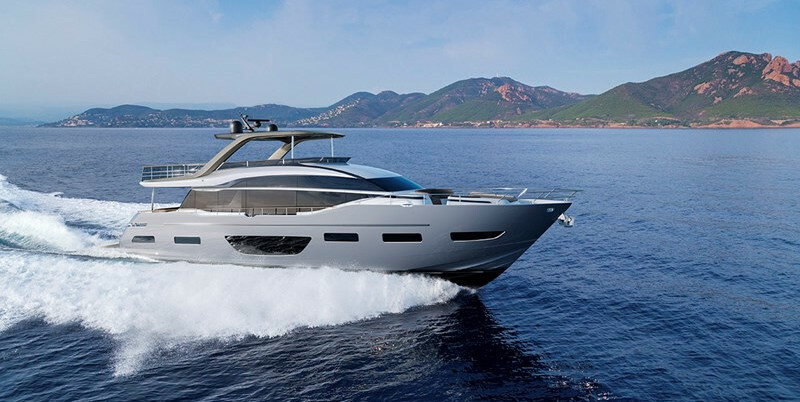 Winch Design is working with Heesen to design the exterior and interior of Avanti. The largest and most innovative Picnic Boat ever, the Picnic Boat 40 brings a fresh perspective. The 111-metre yacht POLLUX is a new AMELS Full Custom concept with an exterior design by H2 Yacht Design. &apos;explorer&apos;-type yachts are still seen by many as being for people who prefer rugged, expedition-style looks. Moonen Navarino concept &apos;go-anywhere&apos; yacht rather than an &apos;explorer&apos;. The HORIZON offers incredibly extended dive time compared to open circuit dives, giving the diver ample time to take in the wonderfull underwater environment. the Crestron Mercury™ conferencing system. a complete tabletop meeting and collaboration system that&apos;s easy to provision and manage. Its unified communications (UC) and audio/video (AV) all-in-one solution supports any web collaboration. Pon Holdings takeover RH Marine B.V.
the 36.00 metre yacht offers generous space to ten guests in five luxurious designed staterooms. Her patented FDHF hull shape behaved very well at sea. Ribbon R27 has space for seven adults to be transported in a luxurious environment with the highest level of refinement. The new D13-1000 sees Volvo Penta move into the 1000hp marine leisure engine market for the first time, and provides higher performance, greater durability and more comfort. Launched in the fall of 2016, the Back Cove 32 is an amalgam of cutting-edge design and customer-preferred features. 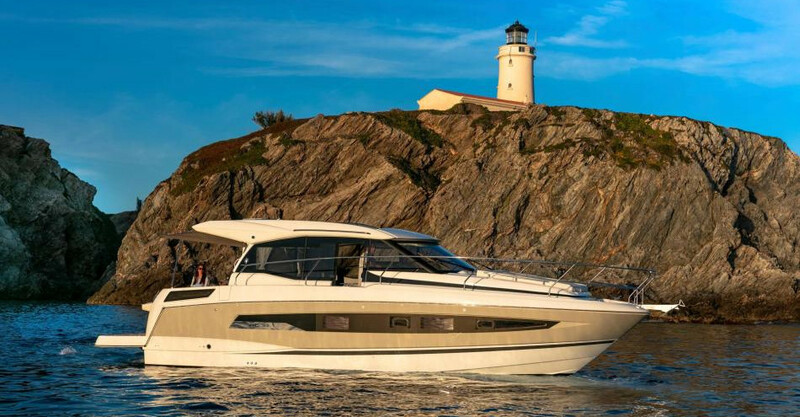 The magnificent Majesty 155 merges powerful engineering and exceptional comfort and craftsmanship. Born of an ambition to elevate the yachting experience, the 35M is a wonder of luxurious space. The innovative cockpit has a unique aft and forward facing seating area that can be specified with a variety of configurations. A new generation of water displacement yachts the New Grand Sturdy 35.0 AC/Sedan and 40.0 AC/Sedan. Faster, more convenient, more luxurious and even easier to use. The Four New Hanse Yachts Give You an Insight Into The Future of Hanse. The quick-starting, low-maintenance. 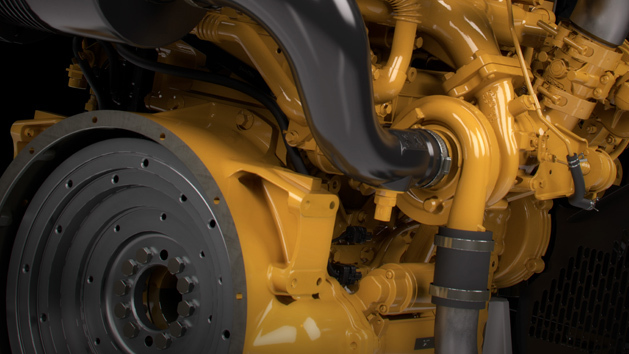 Half the weight of a two-stroke diesel engine of comparable power, the Cat® C7.1 Propulsion Engine burns significantly less fuel and virtually no engine oil at all. It&apos;s the ideal engine for repowering smaller vessels. The new BAVARIA C65 is a real masterpiece when it comes to contemporary design, engineering and technology. The patent is pending for Van der Valk&apos;s unique choice of engine room location, which Van Der Valk anticipate will spark a revolution in motoryachting for the way on board space is used. 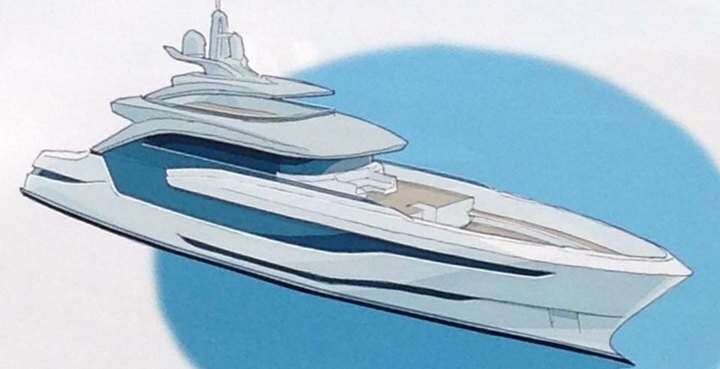 The first official exterior images of the all-new Princess 62. Sculpted hull side windows give the exterior a dynamic appearance while her optimised hull form delivers performance to match. All the benefits of the latest infusion technology, enabling the inclusion of features normally possible only on much larger craft. Monegasque yacht builder Dynamiq has joined forces with Studio F.A. Porsche to create an exclusive series of all-aluminium superyachts. From Montecarlo to Venezia with MTU engines from ROLLS-ROYCE with a time of 22 hours, five minutes and 42 seconds at an average speed of 52.3 knots for the nearly 1,120 nautical mile voyage. With 5 units already sold ahead of its presentation, the new model has taken to the water at Ferretti Group&apos;s Superyacht Yard in Ancona. In development for more than three years, it represents a significant milestone in both engineering and design. Suzuki engineers achieved 350 horsepower while still designing a compact, lightweight powerhead. The robust engine displacement of 4.4 liters is matched by a high-performance 12.0:1 compression ratio, the highest ever for a production outboard engine. An air intake system that allows the engine to draw in ample fresh air, while separating out water, spray and moisture. The integration of the Intelsat 21 mobility beam to Castor&apos;s existent coverage means the company now has a complete Northern and Southern maritime coverage over the Atlantic Ocean.Its global Ku-band coverage combined with L-Band back-up. New Sealink VSAT provide the fastest available Internet access for temporary usage. Recent trials carried out in the Caribbean and Mediterranean Sea have demonstrated the unique, high connectivity throughput capabilities of Marlink&apos;s new dynamic Sealink VSAT High Speed Zones. The Next Level Navigation Systems. Raytheon Anschütz presents a suite of the latest navigation systems, including the new SYNAPSIS NX Integrated Navigation System (INS) and the new ECDIS NX, the world&apos;s first user-defined ECDIS. The system provides intelligent integration and advanced functions to reduce operator&apos;s workload and increase safety in navigation, such as sensor integrity monitoring, enhanced target management, alert management, and redundancy management. Carbon Craft new CC outboard series Innovative, multi-functional, closed cell foam collar. Offering deep hull protection, a dry ride. All Carbon Craft models offer industry leading seating capacity and comfort as well as increased interior volume . An effortless accelaration to her top speed of 26 knots with a fuel consumption of less than 6 liters per nautical mile is unique in her class of 16 meter twin engine motoryachts! Opening an email, connecting to the shore-side office network, delivering engine and route data for efficiency gains, providing wi-fi and voice calling for passengers and crew. Although the end-user should not be concerned with how their message reaches its destination, it&apos;s important to understand that different vessel types, locations and communication needs drive the approach a multi-band service provider takes to enabling voice and IP connectivity over satellites. Due to the compact design of VULKARDAN F not only could the installation length of the coupling be reduced, but also its weight by more than 40 percent. 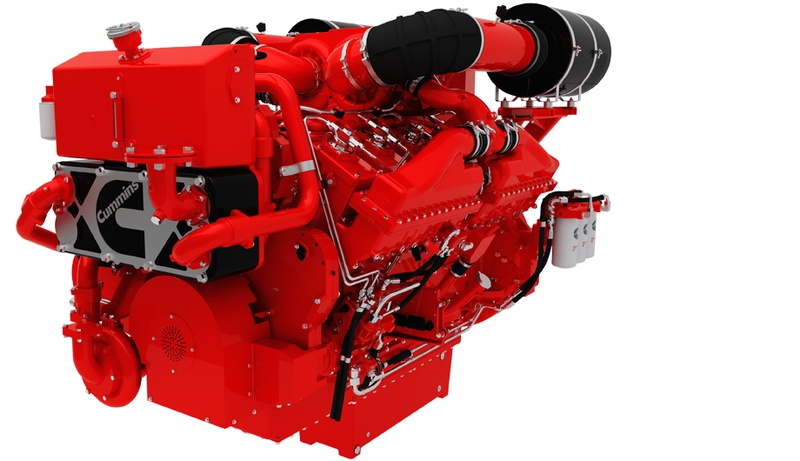 The Cat Tier 4 Final/IMO Tier III solution for marine engines offers a simple, reliable platform that reduces both emissions and fuel consumption. Also the one that minimizes total cost of ownership and maximizes uptime. Brand new and magnificent, sublime in its design and spatial layout, sporty and luxurious. TACNAV Light/GPS features a newly designed sensor mast with embedded GPS, and utilizes KVH&apos;s new TACNAV Moving Map Display (MMD) and its proven Universal Multilingual Display. Harbor Risk, a managing general underwriter for the Hanover Marine program, recently declared at the International Marina & Boatyard Conference (IMBC) in Fort Lauderdale that they consider Bellingham Marine docks to be such a sound investment that they offer up to 10&percnt; in additional credits to a marina&apos;s dock rate where Bellingham docks exist. Image courtesy of kahlenberg inc. The new Kahlenberg KB-15 Horn can sound like any ship, or play your favorite music at astonishing volumes. next-generation B4.5™ engine. The 4-cylinder engine achieves a remarkable increase in power and torque, enabling significant opportunities for OEMs to downsize engine package size, and reduce costs. Advanced FLIR M100 and M200 Thermal Cameras and Axiom Multifunction Displays Transform Boaters&apos; View Above and Below the Waterline. Two new compact additions to its popular M-Series marine thermal cameras for recreational boating. Infinitely scalable next-generation DigitalMedia™ technology makes it possible to transmit 4K60 4:4:4 HDR video over standard 1 Gigabit Ethernet, with no latency - an industry first. Volvo Penta with a 2017 Innovation Award for the Volvo Penta Joystick for Inboard. It is the first and only joystick for twin inboard shaft installations that includes both docking and driving modes, and integrates all five steering components: thruster, rudders, gear shift, slip and throttle. Rolls-Royce highlights its MTU Series 2000 M96L pleasure craft engine, Joystick Control System and MTU Premium Yacht Service. The joystick technology allows the engine to work with bow and stern thrusters to provide ultimate vessel control and a superior driving experience for the boater. Sleek, Aerodynamic, Powerful and Stylish - Honda Marine Concept Engine Reveals a Bold Future for Honda Marine. Honda Marine breaks the mold for marine engines with a bold concept engine that could power the future of boating. With inspiration from across Honda&apos;s lineup - including automotive, marine and aeronautical - the design concept engine is a blue sky vision for what future marine engines could look like. the recreational marine industry&apos;s premier multifunction display family: Mercury® VesselView® 703. Providing precise, reliable control combined with increased clarity, high-definition resolution, wide viewing angles, and enhanced controls for easier operation in all conditions, VesselView 703 incorporates the new Simrad® SolarMAX® HD display. Volvo Penta introduced the most powerful of its next-generation marine gasoline engines. 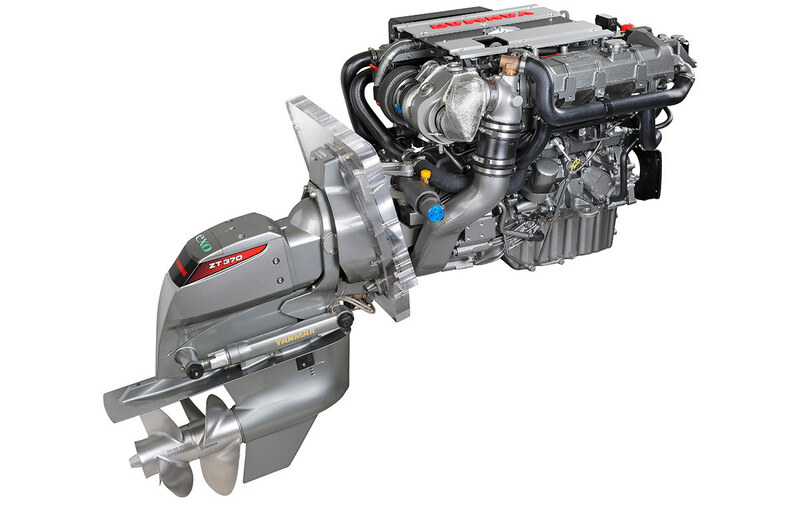 Offered in 380 and 430 hp models, the new aluminum V8s are based on the highly successful General Motors&apos; Gen-V block and incorporate a combination of technical features that cannot be matched by any other marine gasoline engines in their horsepower range. Inmarsat completes testing of key satellite infrastructure for European Aviation Network. The European Aviation Network satellite access station. Inmarsat (ISAT.L), the world&apos;s leading provider of global mobile satellite communications, has announced a key infrastructure milestone for its European Aviation Network (EAN), following the successful test and validation of the EAN Satellite Access Station (SAS). Image courtesy of Furuno inc. The MODEL1815 Radar is perfect for both beginners as the first Radar that you buy and for professional users as a credible navigation product. The display unit is compact in size, features easy-to-use and intuitive controls, all while maintaining high- performance Radar standards based on their high-end technologies without the slightest compromise. Hatteland Display, the leading global provider of display and computer solutions for professional maritime use has added four new sizes to its innovative second generation Series X Panel Computers portfolio. announced that eight of its marine propulsion engines meet the Recreational Craft Directive II (RCD II). The lineup of PowerTech™ marine engines with power ratings from 75 to 559 kW (100 to 750 hp) offers customers a broad selection of reliable and powerful engine options. Carlisle & Finch has created the LED "Hybrid" Searchlight. NightFINDER Product earns The International Superyacht Society (ISS) "Excellence In Innovation" Award. Illuminating direct a "Wall of light" 150 Meters wide, 230 meters away, anywhere around the Vessel, or across Shorelines, etc.! The new AMP-1200 and AMP-2100 are uniquely designed for incredibly easy installation. No more rack shelves, terminating power connectors, or external power supplies. They are also Energy Star certified. US Coast Guard approves use of LOKRING© connectors. Image courtesy of Vulkar inc. The LOKRING© tube connectors meet the applicable military standards MILSTD-777 and will be used for the repair of refrigeration and air conditioning systems on the Coast Guard vessels. VULKAN Lokring solder-free tube connections will make it easier to repair or .. The MX-14 Classic has Volvo Penta engines in three of its configurations. 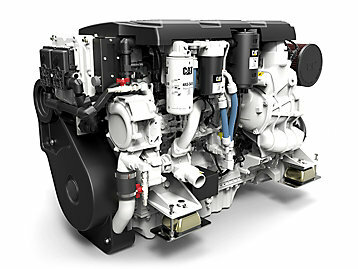 The highest performing model features two Volvo Penta D6-400. 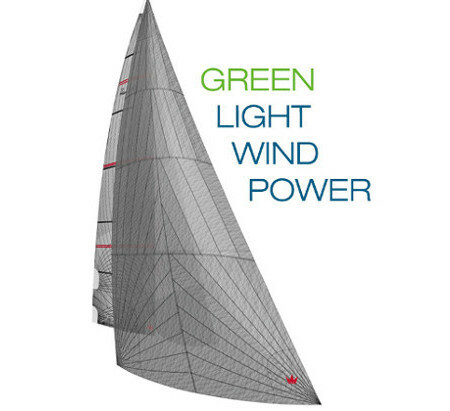 Hanse introduce the new Hanse CROSSOVER SAIL, making fast sailing easy. Image courtesy of Hanse inc. The highlight of the Hanse CROSSOVER SAIL is the large application range, which extends from 65 to 135 degrees to the wind. The new sail is stowed in a specially designed sail bag on the side deck. launching a superyacht powered by Volvo Penta's state-of-the-art Inboard Performance System (IPS). The Amer 100 is available in two models, Sport for planing and Long Range for semi-planing. The 100ft yacht has three decks and is spacious enough to accommodate five en-suite cabins, a living/dining room, study, three crew quarters, a well equipped kitchen and a laundry. Based in the Fort Lauderdale, Florida yachting capital of the world, the website was established in 2015 by Erol Tevfik who is passionate about innovations and pioneering ideas. Aiming to serve the Marine Industry by bringing different segments of the industry together. youdock.net promotes fresh, new ideas in the marine industry as well as It addresses to marinas around the world. youdock.net is designed to provide service online to bring marinas and yacht captains together. As marinas or private docks display basic marina information on youdock.net , yacht captains can process marina information quicker. the webplatform youdock.net would like to invite marinas and private docks to join youdock.net pages. Easy to navigate and upload website and free of charge. You will have full control of your own personal pages. MISSION : Welcome to the marine community on sea going vessels and everything in between. Marine industry webplatform youdock.net updated daily with the most relevant and interesting marine industry news and developments in which we provide readers around the world with fascinating marine industry stories and unique features from some of the industry&apos;s most influential players. Not only limited to marine industry news, the webplatform youdock.net addresses to marinas around the world. youdock.net is designed to provide service online to bring marinas and yachts together. If you want to share the information, photo&apos;s , please register. It is free of charge. For the general public, registration is not necessary to be able to use this website. But to be able to participate and post on youdock.net , a sign up form should be filled out completely with your desired username, password. When quoting images, ensure that the image can be used under fair use. It is youdock.net policy to respect and keep private any personal information we may collect from you in the course of operating our website. youdock.net reserves the right to disclose your personally identifying information when legally required and when the information is relevant for the protection of our rights, including compliance to a legal process or court order served to youdock.net.youdock.net will not be responsible for personally identifying information that you share or post in the website. Any links leading to other websites that are not owned or managed by youdock.net. We are not responsible for these sites.We encourage you to be cautious of those other websites before giving out your personal information. The focus of youdock.net is to share information between person(s) who is willing to sell, lease rent their properties and person(s) who is willing to buy, lease, rent properties. Youdock.net reserves the right to change this Posting Policy as it deems necessary. A notification will be posted on this page, on the homepage of this website, and on other pages deemed appropriate, so that you'll always know what information we display. Hate speech (including content that incites hatred or promotes violence against individuals or groups based on race or ethnic origin, religion, disability, gender, age, veteran status or sexual orientation/gender identity), harassment, similar content that advocates harm against an individual or group. Content that promotes, sells or advertises products obtained from endangered or threatened species. Offenders will be banned from posting on youdock.net. Users are not allowed to post copyrighted material or provide links driving traffic to sites that contain copyrighted material. Examples of copyrighted content which may require legal rights in order to be displayed include, but are not limited to: access to books and/or e-books, audio files, video games, movies, television shows, images, satellite tv or streaming cable. Contact us and we&apos;ll get back to you shortly.